I havent exactly been silent about the fact that the future scares me and is something in my life that i havent always had so much hope or excitement about. The future has scared me, its so uncertain and no matter how much you try to plan and control things dont always go the way you thought they would. And thinking about 10 years from now, or even just 5 years from now it has been something that has evoked anxiety within me. And during my toughest of times, thinking about the future has almost been impossible because all i could think was, i cant stand another week yet another 10,20, 50 years feeling this way.... But inside of me there has always been some type of hope that things will get better, i mean that is what has always kept me going. That i know that things can get better, even if it doesnt happen over night.... 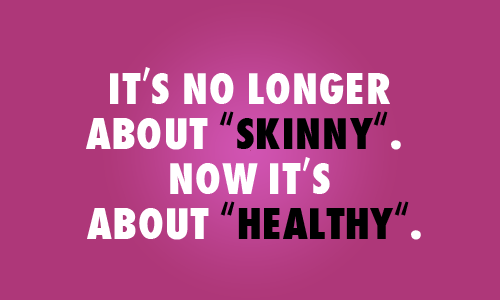 I mean just a few months ago i was very very low, and now a few months later and i am doing better.... somewhat anyway. And that is because i have kept going, and there has been something keeping me going. Even if the future has scared me it has also been something i have been curious and excited about. And yesterday, for a brief moment i actually had a feeling of happiness regarding my future. I began thinking about, in 10/15 years from now i might have a career which i love and enjoy, maybe planning to have children and together with someone who wants a future with me/i want a future with them (Or who knows... maybe i have no job, no house, and single.... I never really know. haha. I also never thought i would want kids, but actually when the time is right then i think i do want children, whether i have biological or adopt i dont know. I am not someone who loves children but i do think i want a child and like 5 dogs when i am older. Unlike my sister who wants like 4 children XD). 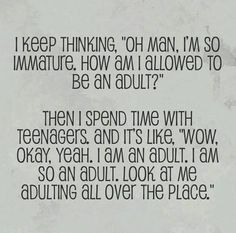 And i began thinking, how when im 30/40 and a "real adult"... because at my age i dont consider myself an adult, somewhere inbetween a teenager and an adult. But i thought about when im older and then visiting my parents when they will be like 60/70 and doing their own thing..... and it just made me happy.... thinking about the future, something that has scared me so incredibly. But for those few moments i smiled and thought, i cant wait until then.... I cant wait until im fully an adult and have a job which i am studying hard for now and i can help people and maybe travel in the future. But also i am going to CREATE my future the way i want it.... i will not have people tell me how to live my life or what is best for me, i will do what i think is best for me... even if that at times means things dont always turn out right at once, but i learn from mistakes and i want to be able to make my own choices. And i will work and do work i love, help people and continue to experience and live.... that is what i want from my future. I dont want my future to be stress, tiredness, bills, anxiety, stress, hate..... I have already experienced far too much of that in my teenage years and now in my life, i dont need another 60 years of that. But if i make the choice to not let those things negatively affect me and instead make the best of life each day then i know my future can be great, even if there are ups and downs and highs and lows!!! But it feels awesome to be studying something i love. And i know that there are SO MANY out there who have no idea what they want to study, and you know what..... that is more normal when you are young, to not know what you want to study than it is to know what you want to study. I mean i dont fully know what job or career i want, but i know what i want to work with anyway and its a nice feeling to feel like i am on the right course anyway. But DONT stress if you have no idea what you are good at or what you want to study, its ok..... let it take time and you will figure it out. EVen if that means you study something and then begin studying something new a year later, it is NOT a year wasted... you learn and grow!! Its weird thinking about the future isn't it, where you`ll be, what you`ll be doing. But believe me you don`t really change that much - sure you become more mature (most of the time!) and your thoughts may change from life experience but essentially you are still that same person .... I don`t think I have ever reached that "I`m an adult now" point because I don`t really feel that much different now than I did in my teens, i still make mistakes, am still learning, still do daft things - only with a bigger number to my name. Life experience shapes you from birth, i don`t think there is a sudden realisation that now you are "an adult" or that life will be dramatically different because you hit a certain age, well that hasn't happened to me anyway! Its good that you feel happiness about your future, i`m sure you will shape it just how you want it and work towards your hopes and dreams.